Easy to care fabric. Sizes from S to 5XL. Easy to care polo, available in sizes from Small to 5XL. Wash and Wear design shirt. Sizes from Small to 7XL. Wrinkle free shirt. Sizes from Small to 7XL. Lightweight shirt, suitable for both men and women. Huge size range (3XS to 7XL). Suitable for both men and women. Big size range (3XS to 7XL). 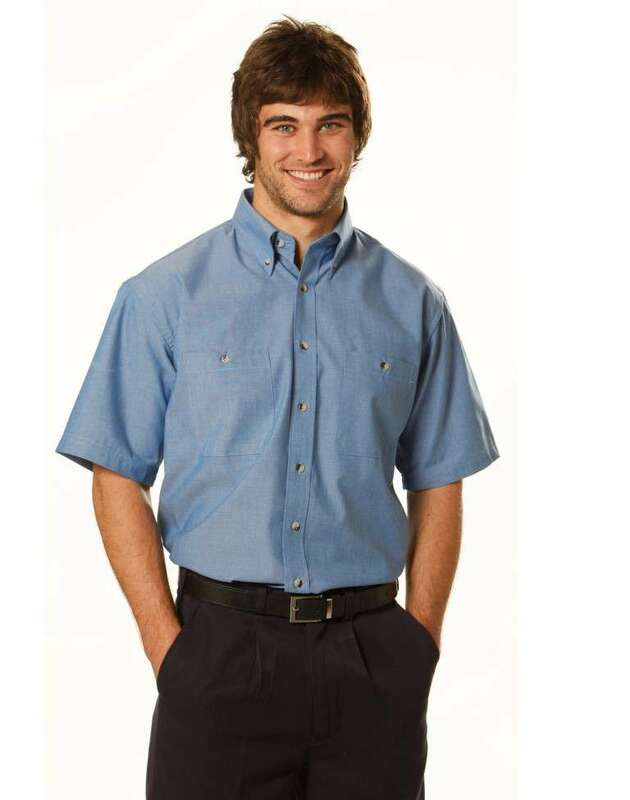 Durable, wrinkle free shirt. Sizes from S (small) to 5XL. Teflon coated, wrinkle free shirt. Sizes from S (small) to 5XL. 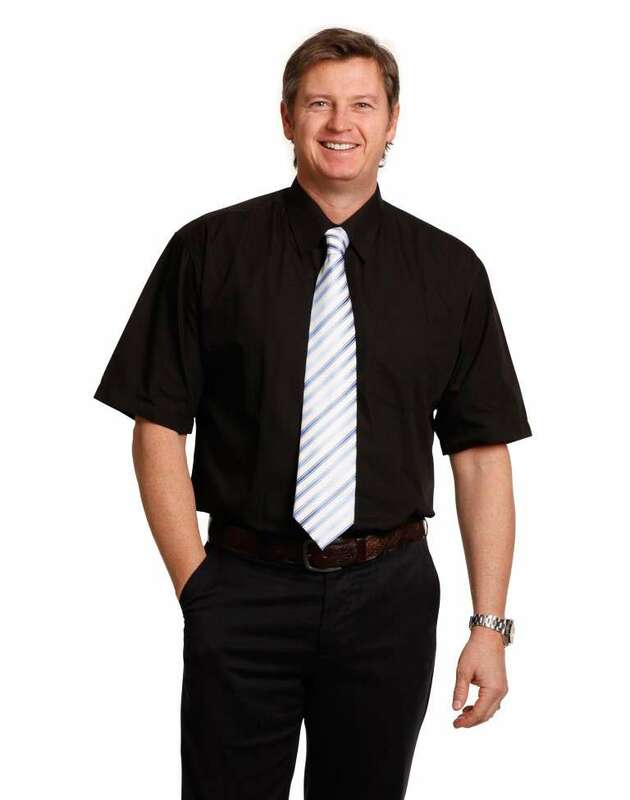 Lightweight shirt with rubber buttons. Ideal for Automotive industry. Lightweight and durable shirt. Sizes from S to 5XL. 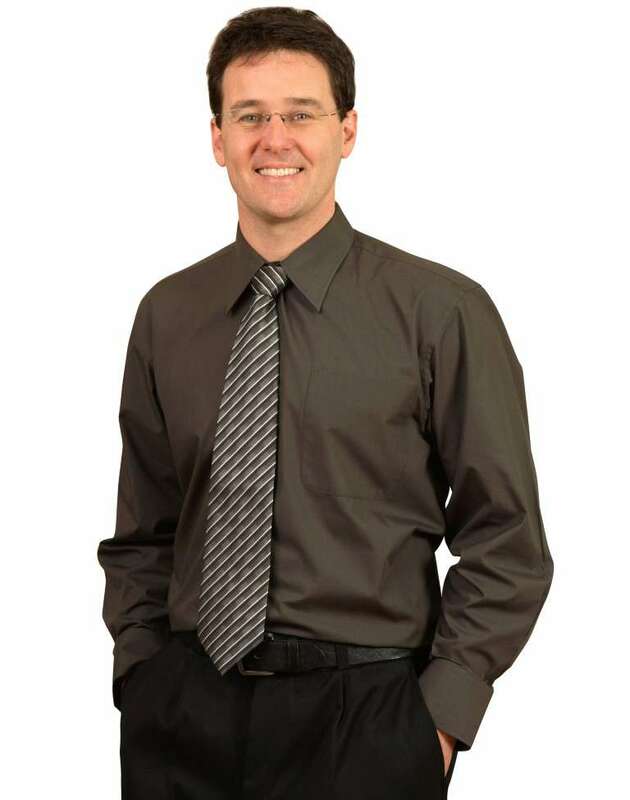 A good looking shirt, as a business uniform, can add enormous prestige to your business’s branding. Therefore, choosing the right shirt is important. 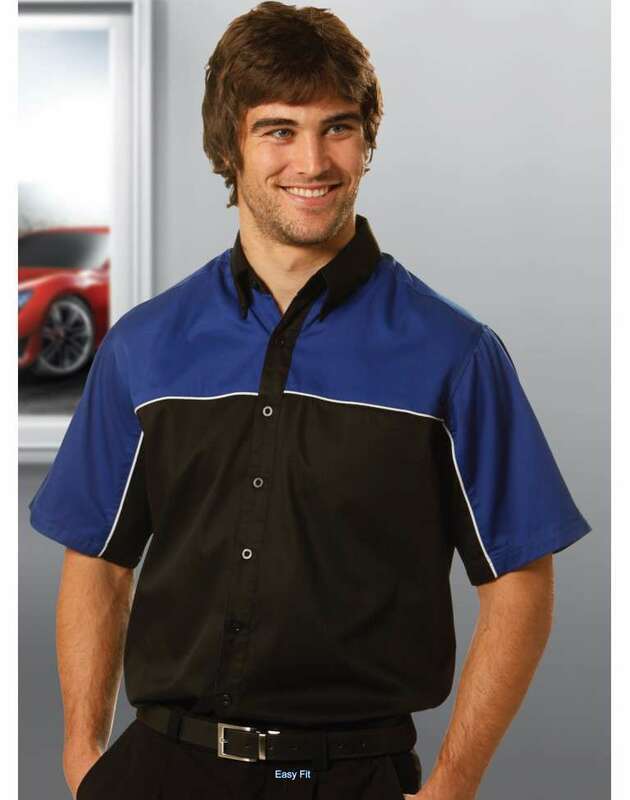 Here at Uniform Choice we make sure that there are lots of shirt styles available in our online uniform store so that you could choose the shirt that best meets with your branding objectives. While the style of the shirt is important, the quality of the fabric is also just as important. We use quality fabrics, designed for easy to be cared for, and to retain its colour and shape over the many washes. 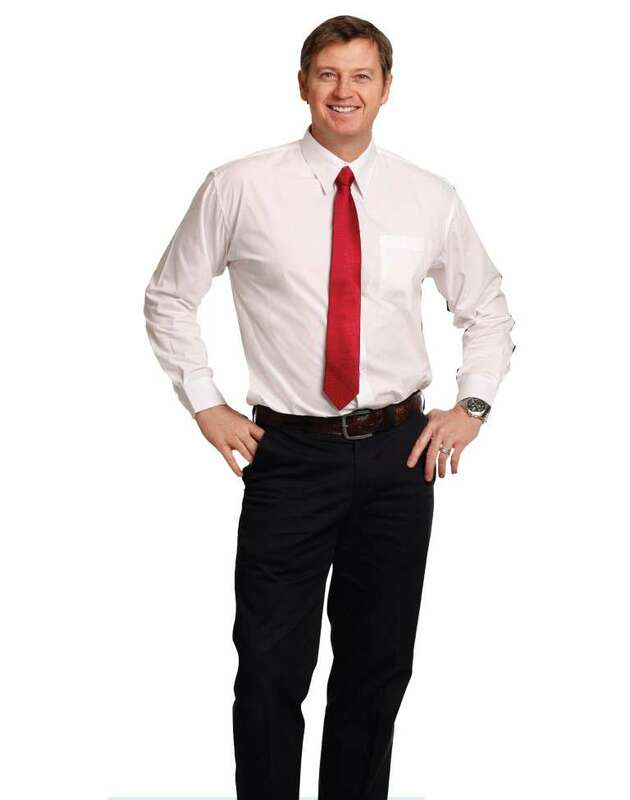 This is partly why Uniform Choice is increasingly becoming Australia’s number one choice when it comes to men’s shirts online in Melbourne, Sydney, Brisbane, Perth and Adelaide. 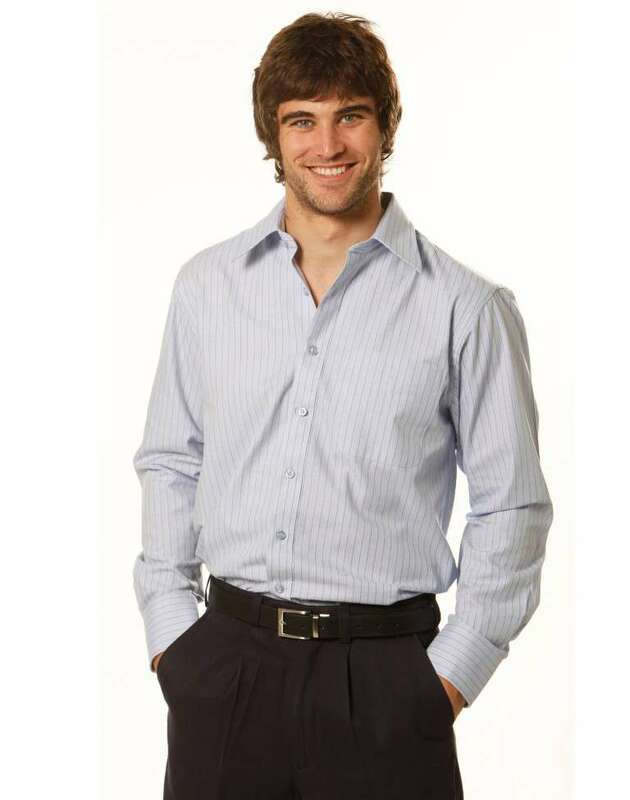 You can now order all your shirts online from Australia’s most popular brands. Our shirts are available in both short sleeve and long sleeve. In fact, usually, each style offers both options. While we offer plain fabric shirting, we also offer fine stripe men’s shirts, as well as pin stripe and sateen stripe shirts. Our shirting style also include check shirts, which seems to retain its popularity over the many years. Our shirting range offers some exciting colours. In addition to traditional colours such as White and Black, we also offer men’s shirts in Navy, Red, Chambray Blue, Khaki and Mocha. If you are looking for a colour other than what we have, please contact us so that we can see if we could source such a shirt. Here at Uniform Choice we understand that having a large size range is important. This is why we offer our Men’s shirts in many sizes. The sizing range usually starts at S (small) and goes up to 5XL. Another sizing we use, is the collar size, which usually starts at 38 and goes up by two. The biggest collar size we can offer is usually 46. However, if you’d like to get men’s shirts either smaller or larger than what we already have on our online uniform store, please let us know so that we can try to assist you. Uniform Choice offers the option of having your shirts custom made, provided that the quantity of your order is feasible. Of course, there are clear benefits in having your shirts custom made. It allows you to control many styling features such as design, colour and sizes. There are other, more economical ways of customizing your shirts. For example, you could create a unique looking uniforms trough embroidery and/or screen printing. From years of experience in selling men’s shirts, we know that our male customers hate shirts that don’t have a pocket for a pen. This is why most of our shirts has either one, or two pockets. Security guards love our military shirts for their comfort, as well the sharp looks. These shirts are tough built so to handle rough situations. 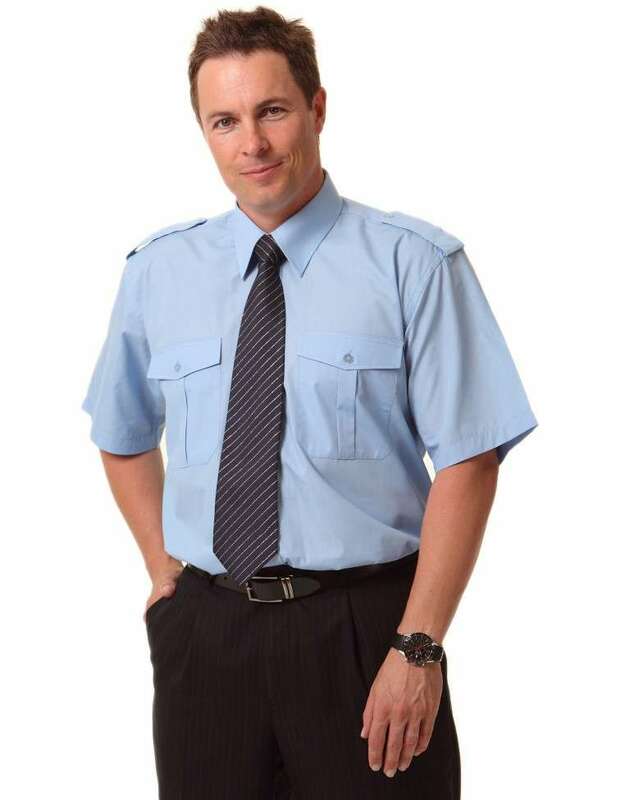 The sharp styling with epaulets on shoulders, makes it ideal as the security industry uniform. Military shirt is available in short sleeve, as well as in long sleeve. We think that there would not be many men (and women) who would enjoy ironing. This is precisely the reason as to why we keep wrinkle free shirts in our range. 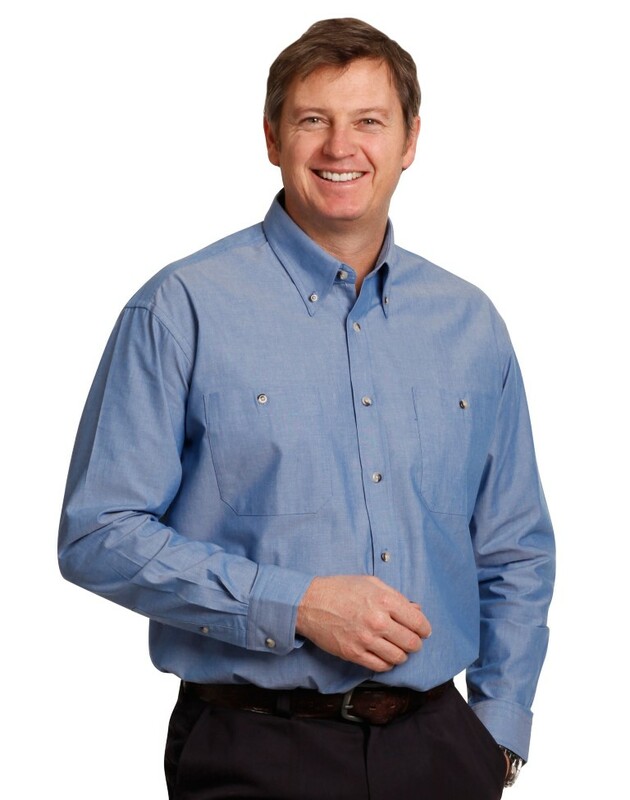 While we offer men’s short sleeve wrinkle free shirts, we also offer long sleeve wrinkle free shirts. 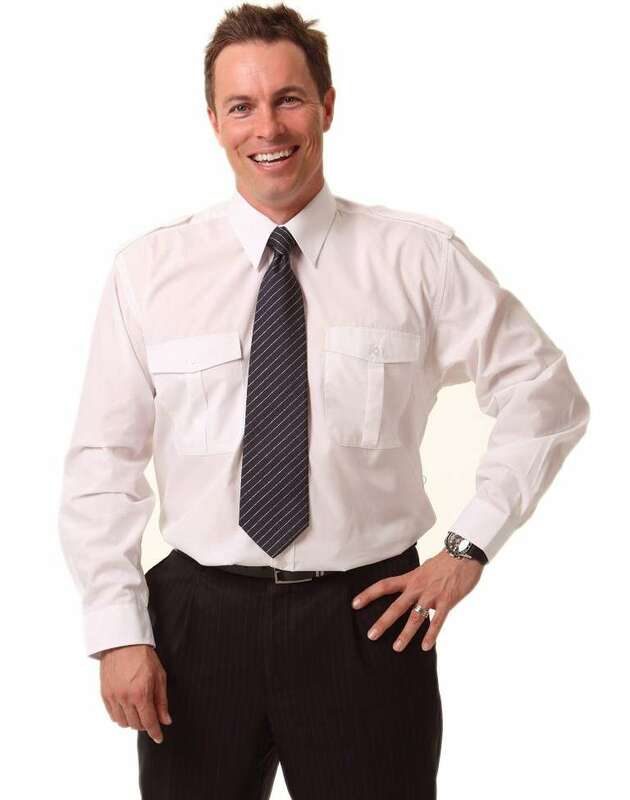 Usually there is a matching women’s wrinkle free shirt in order to keep the uniformity in the workplace. Yes! Uniform Choice offers Free Delivery. While our Free delivery offer includes Melbourne, Sydney, Brisbane, Perth, Adelaide and Darwin, it also expands to major towns across Australia. Now you can buy all your men’s shirts online at affordable prices, and enjoy the free delivery on top. Now... That's what I call a great service! 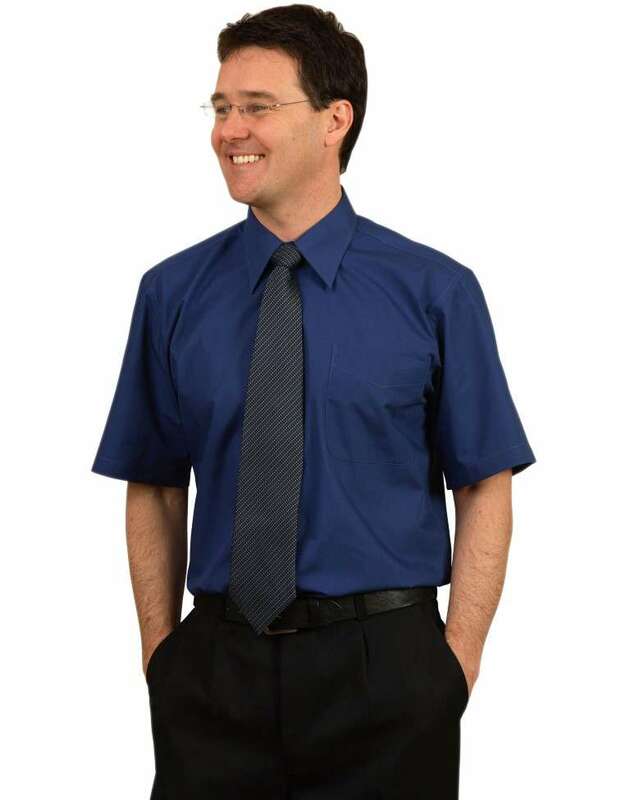 Here at uniform choice we are as close to you as your computer, for as long as you have the nternet. You can view our stock at any time of the day without leaving your home or office. Our online uniform store is full of exciting shirts that you can buy with customized embroidery of your logo, or a special message. 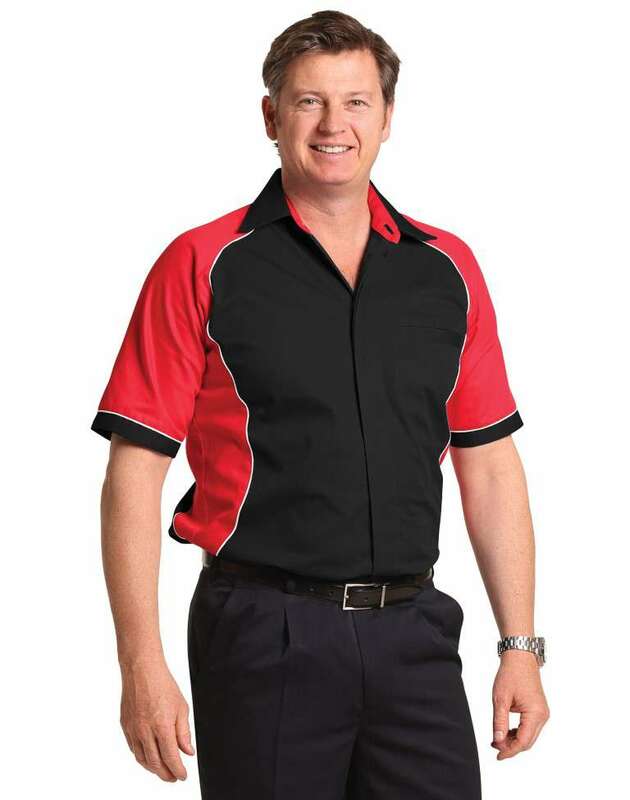 Given that we offer free delivery acrosss Australia, distance has no limitation for ordering your shirts online from Uniform Choice. We have an easy to follow process. First you select your shirt, then add your embroidery on the many popular embroidery positions. To add decoration such as embroidry, simply pick the items you want decorated, click on the 'add decoration' button, and follow the process. However, if you encounter any issues, please feel free to contact our customer service team.